Mod replaces Pigman zombies by Minions, tiny little yellow creatures, that obey only to a despicable person. They not just look very cute, but also very helpful creatures that can be tamed, will defend you and fulfill any of your errands. 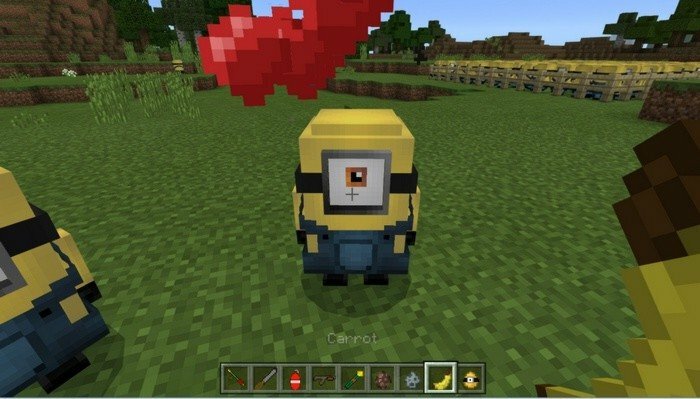 In order to tame a minion, you will need to do a few things: go into the Nether, find a minion there and give him some banana (carrot), on Android/iOS make a long press on a minion until "Tame" button appears. There is 33% chance of taming, so keep some spare bananas in your pockets, just in case. After the taming, the minion will follow you wherever you go and you can have as much of them, as you want. 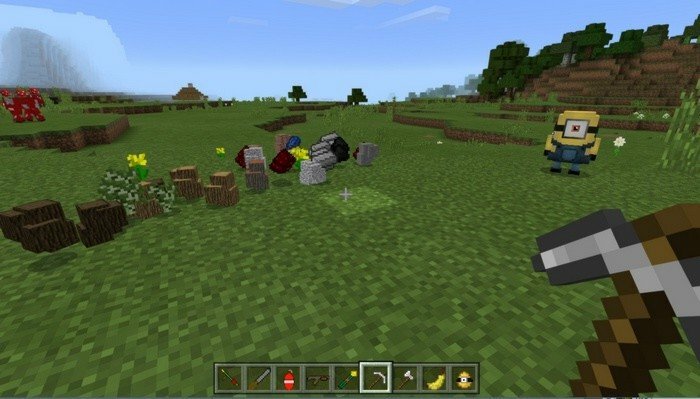 It will take from 1 to 5 minutes in order to get the job done, after returning of the minion, tap on him to get the items. A recent update adds a new mob into the game - Evil Minion. They will replace skeletons and will be very aggressive, but not too powerful - minions can deal with them easily. You can transform minion into evil minion by throwing a poisonous potion at him, potion of weakness will do the opposite. Felonius Gru is the main character in the Despicable Me animated film, minions were shown there for the first time. 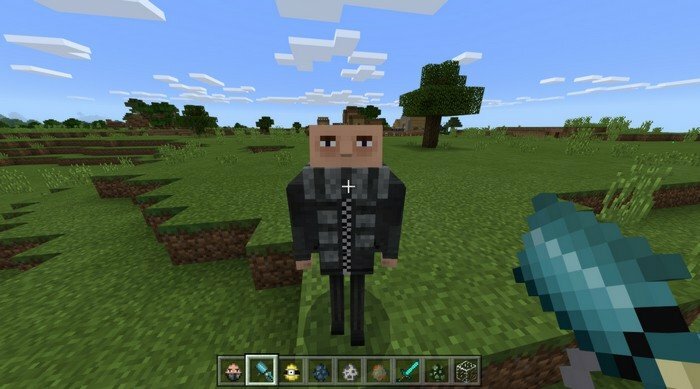 In Minecraft Felonius will replace Husk, you'll be able to tame him by giving him a Levitation gun (bow), he will use that weapon to protect you from monsters and will make it quite efficiently. If you're playing on Android/iOS, make a long press on a minion and then press "Tame" button.